During the Ann Taylor Black Friday 2019 sale, our sources believe that they will offer the same deal as previous years which includes 50% off everything online and in the stores plus free shipping if you end up shopping online. From ultra-luxe leopard print pumps to beautifully tailored tweed jackets and everything in between, shopping Ann Taylor this Black Friday will be sure to deliver you stand out quality at incredible value. The 2019 Ann Taylor Black Friday deals have not yet been released. While we don't have the Black Friday ad for AnnTaylor.com yet, below are some of their historical deals which will give you a good indication of what you can expect during this year's sale. The 2016 Ann Taylor Black Friday sale is identical to their 2014 and 2015 sales. This year they are once again offering 50% off all women's clothing, shoes, and various accessories. As we track the sales each year, we've noticed that popular sizes typically sell out very quickly on AnnTaylor.com. We suggest that if you see the style and size that you're interested in, that you purchase it immediately because the selection in stores varies and they may or may not have the size or style that you're looking for. 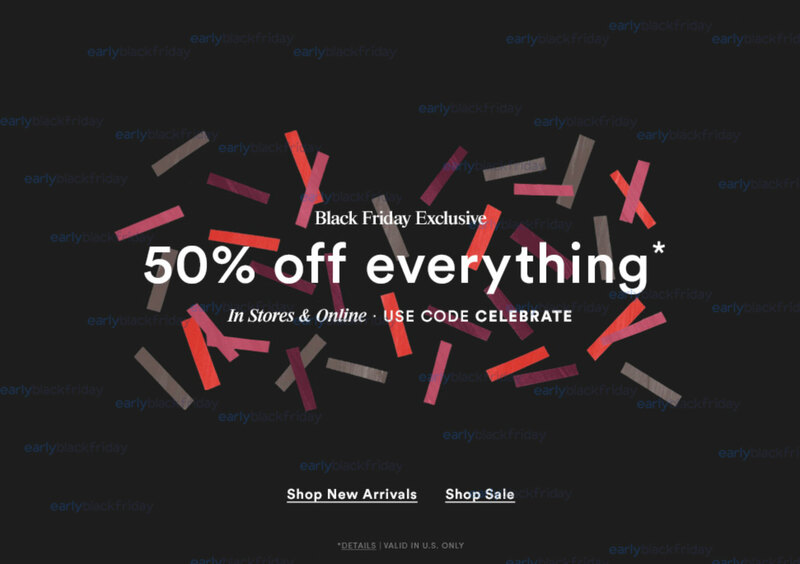 In 2015, Ann Taylor again offered their exclusive 50% off everything in their stores (both at the physical store locations and online) as their Black Friday deal. If you are shopping online, use code CELEBRATE when you check out and the discount will be applied. If you shop in the stores, the sales rep will knock 50% off your order once they finish ringing up all of your items. Getting half off dresses, jeans, skirts, and more from a brand like Ann Taylor is one of the better Black Friday deals that we've seen this year. 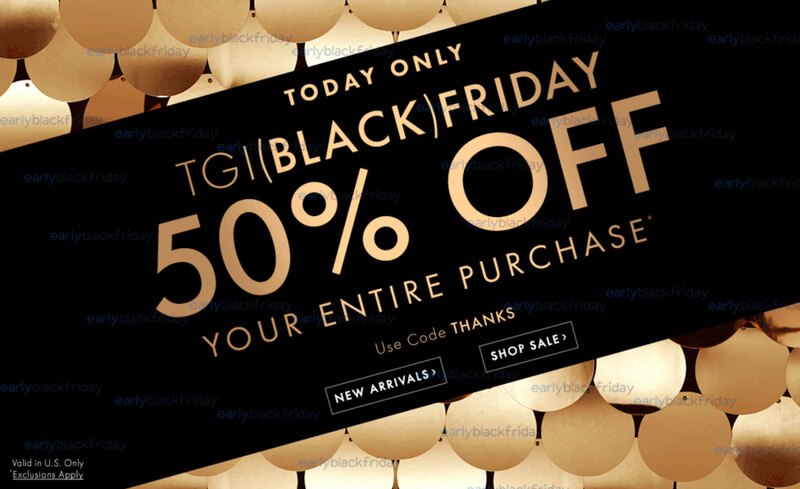 The Ann Taylor's 2014 TGI (Black) Friday sale features 50% your entire purchase when you use code THANKS at checkout. While this deal is also available in stores, the code itself is only valid for a limited time at anntaylor.com for orders shipped within the US starting. Also, keep in mind that select styles and pricing for this offer may vary between in-store and online so if you see the item you want online, we suggest that you get it while it's available rather than testing your luck at the store.